Dr. Seuss’ 'The Grinch Who Stole Christmas' is a Christmas classic loved by everyone! I'm sure you can remember watching the movie on TV every single year as a kid. It's part of the Christmas tradition, right! This year there's a new movie out in theaters starting the wonderful Benedict Cumberbatch. Can't wait to check it out! 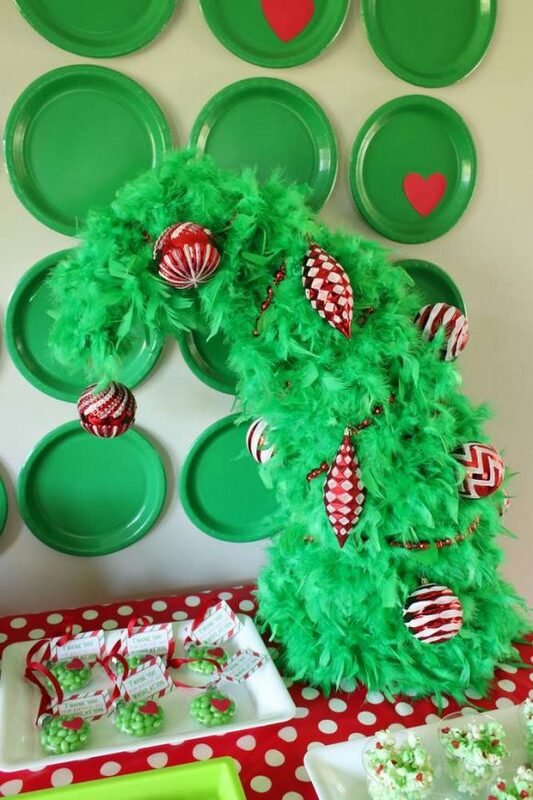 We've included so many fun ideas for a Grinch Christmas party, such as a dessert table, some Grinch party decorations, Grinch Cookies and so much more! The 8 Best Grinch Christmas Party Ideas! 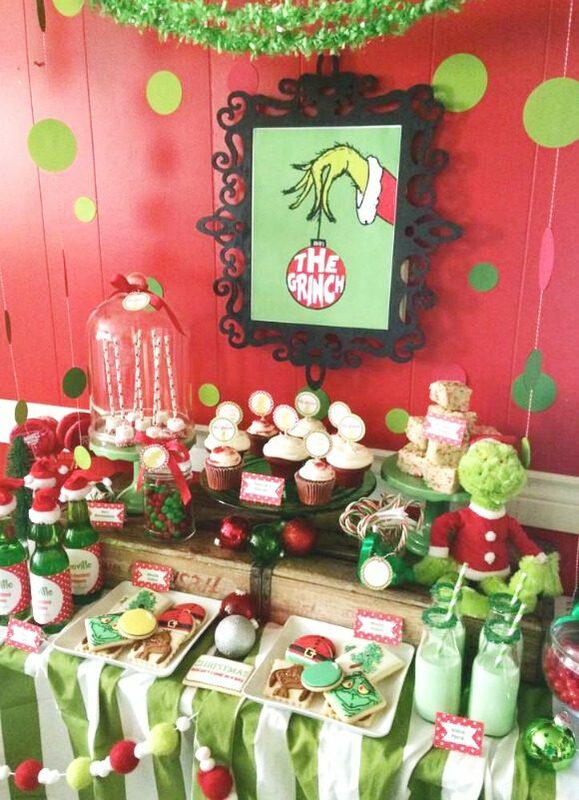 Get the festivities going with this gorgeous The Grinch inspired dessert table in red, white and green. The Grinch poster in a black ornate frame and place as the backdrop is such a cool party decoration. 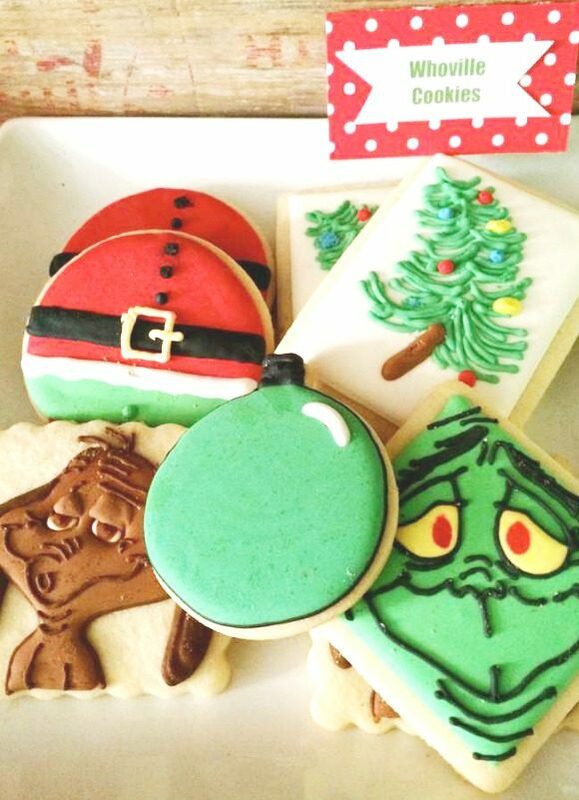 This bunch of The Grinch inspired cookies are fantastic and there are so many to choose from! Look no further to have some similar Grinch cookies at your Christmas party. Cupcakes are always a hit at any sort of party. The topper of these Grinch cupcakes are so much fun and they really do transform a simple cupcake. If you want to decorate a bunch of store bought cupcakes and transform them into Grinch masterpieces then these toppers are just what you need! 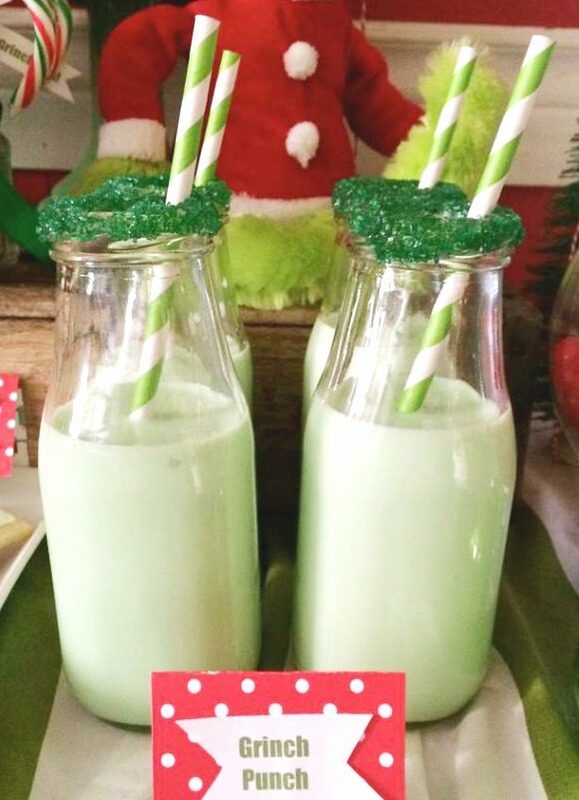 Treat your guests to the perfect drink at a Grinch party... Grinch punch! They are such a fun idea and really simple to do. Just wet the rim of the bottles and tip them into a plate of green colored sugar. Allow to dry before you place a small drop . Then add a single drop of green food coloring into the glass bottles and add milk. Finish them off with some pretty green paper straws. You can't have a Grinch themed Christmas party and not have a Who-ville Christmas tree! It's the perfect party decoration!! Check out these awesome red and white Christmas tree ornaments to help you decorate your own. The table settings at this Grinch party are so cool with all the red, green and yellow! It's a very simple look you can easily reproduce yourself. 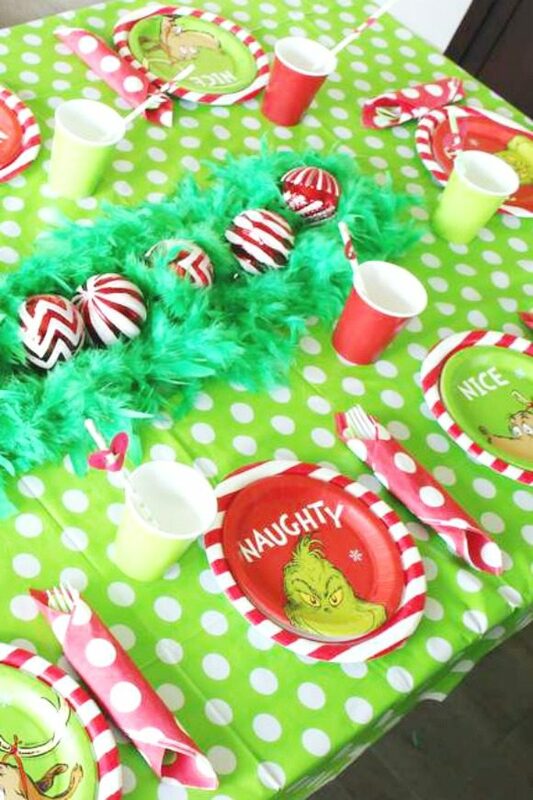 All you need is a green and white polka dot table cloth, a bunch of red and green paper cups, some red and white polka dot napkins, some fun Grinch paper plates and finish it all off a green feather boa centerpiece decorated with some red and white ornaments. 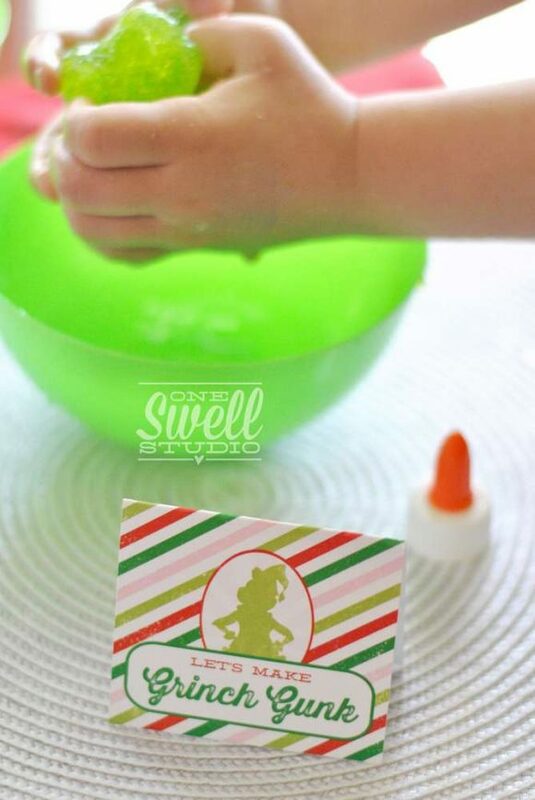 If you're looking for a great Grinch themed party activity, then you don't want to miss this! Keep them busy and send them home with a massive smile on their face after they've made some awesome green slime!! 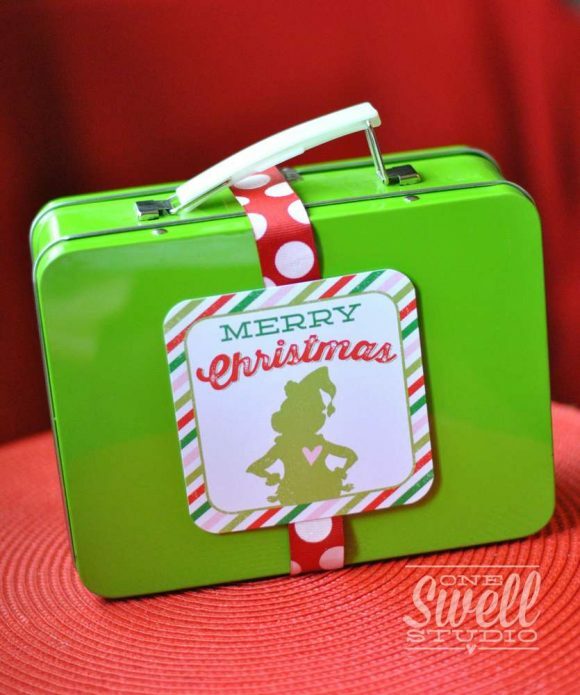 Send the kids home with a cute green tin tote bag full of Christmas themed goodies, such as peppermint candy canes. 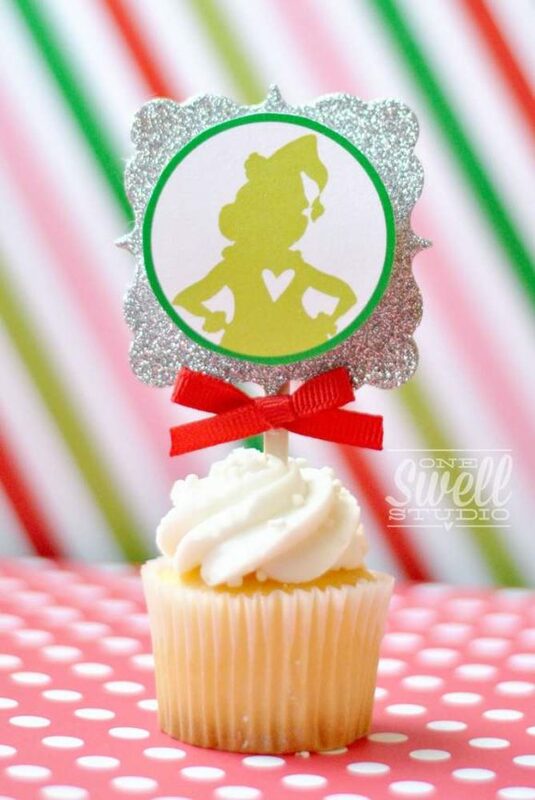 Finish the Grinch party favors off with a fun label. 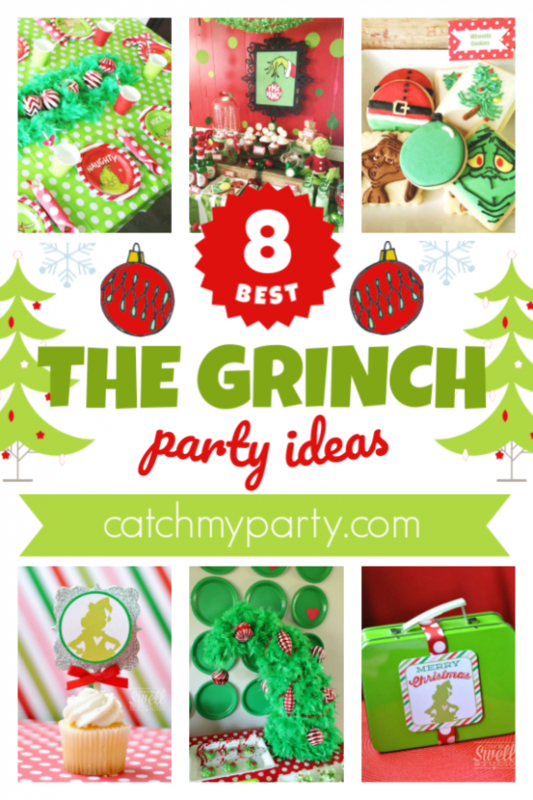 For more inspiration, check out all these amazing The Grinch Chrismas parties on our site, and check out these The Grinch Christmas party supplies from vendors with listings on Catch My Party! Some of these links may be affiliate. If you click and buy, we might make a small commission at no cost to you.